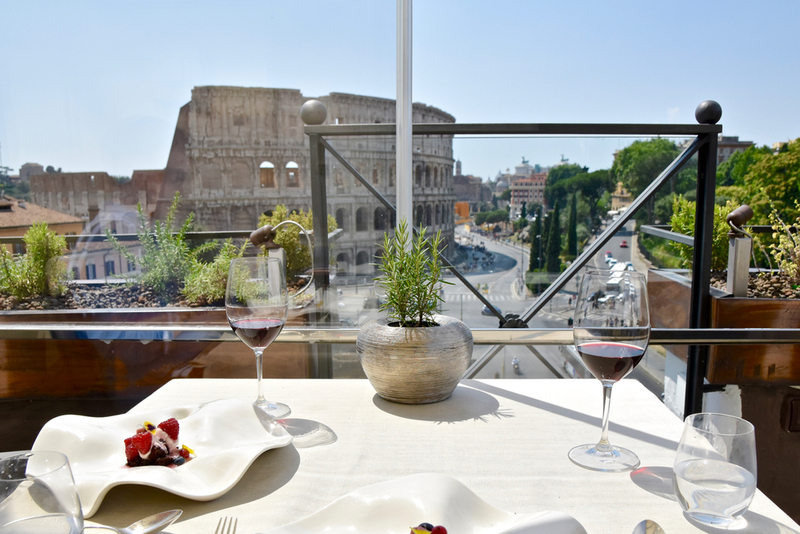 At Michelin starred AROMA in Palazzo Manfredi, quintessential Rome is reflected in a menu of classic Italian dishes and an unparalleled view of the Colosseum. The kitchen is headed by Calabrian-born Chef Giuseppe Di Lorio who has been Aroma’s head chef since its opening back in 2013. Since then Di Lorio has developed a menu that marries his mastery of traditional Italian cooking with his flair for fresh ingredients and ideas. 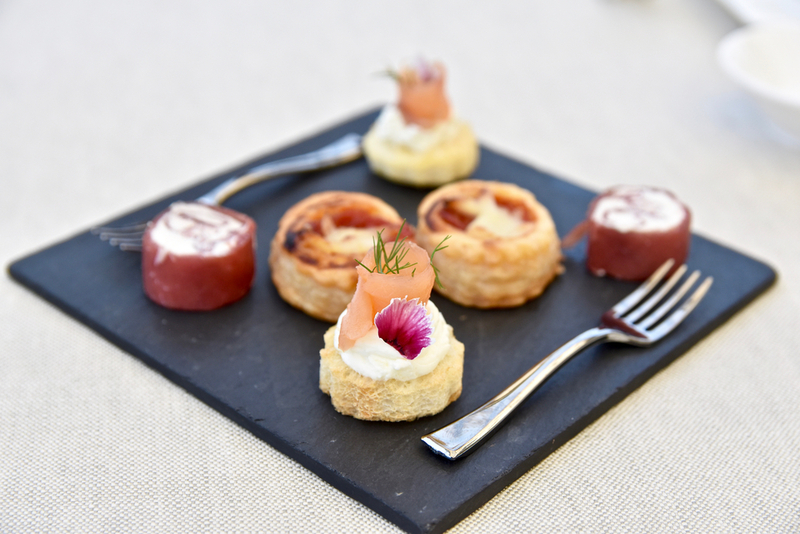 A supporter of sustainable fish, Di Lorio removed all tuna from AROMA's menu which now serves appetizers that showcase lesser known fish varieties alongside other sustainable meat options and local produce. The progressive menu also includes a special gluten free degustation. 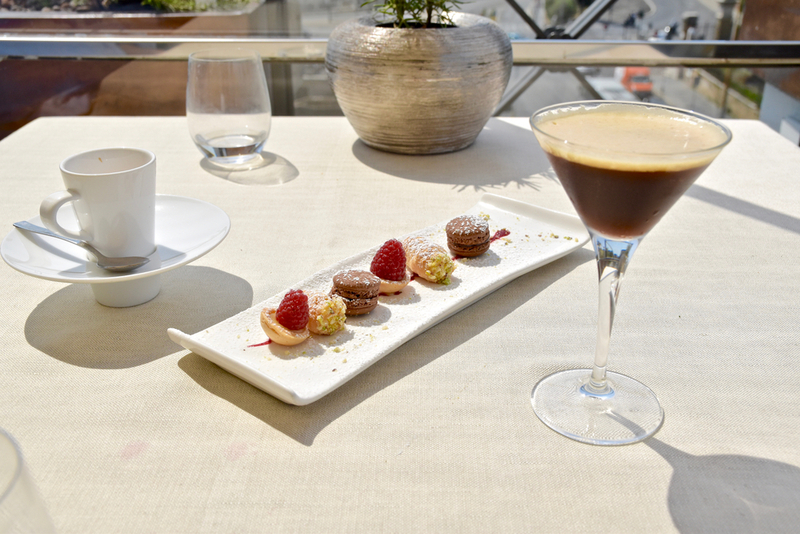 Seated on the picturesque outdoor terrace, we thoroughly enjoyed our tasting menu which took us on a wonderful journey of flavour. Of particular note was the Iberian Pork flavoured with “Gin Mare”. The pork was exceedingly tender with wonderfully caramelised edges and was elevated by the silky salsify velouté, fermented garlic and almond air. As expected of any great Italian restaurant, the pastas at AROMA are exquisite. Our pasta course of Ravioli was stunning. The silky, perfectly al dente pasta encased decadent, creamy buffalo mozzarella and was seasoned with Cantabrian Sea anchovies. The Green Lasagnette was again, beautiful. Together with tender quail and earthy chanterelle mushrooms, the dish was brought to life with heady smoked Provola cheese. Our final savoury course was a perfectly cooked dish of suckling pig served with apricot compôte which balanced the richness of the pork. 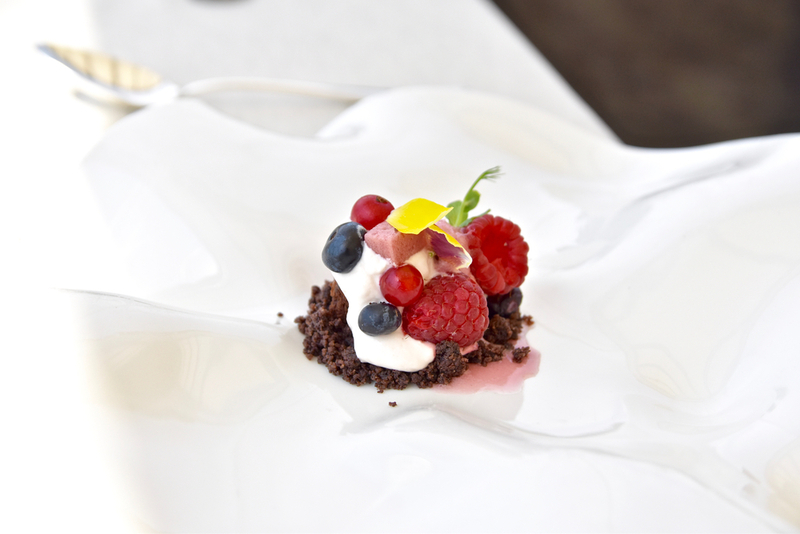 Finally, a decadent Guanaja 70% chocolate brownie served with a playful amalgamation of wild berries cream, false lavender marshmallow, radish sorbet and chocolate crumble brought our culinary journey to a sweet end. 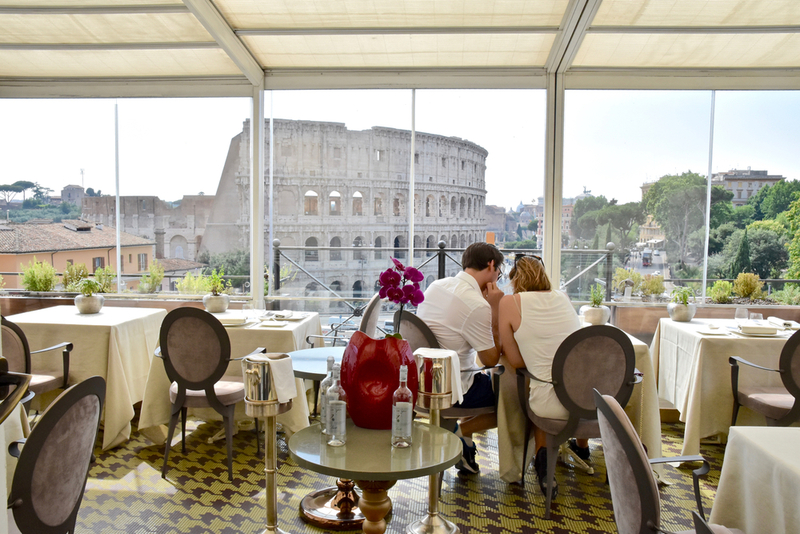 AROMA offers a unique culinary experience with truly breathtaking views of the Colosseum, resulting in a dining experience that is unforgettable.